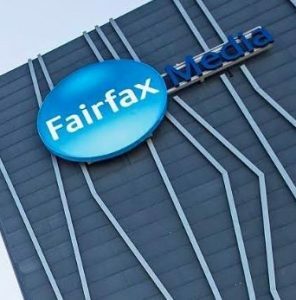 The merger of Channel Nine with Fairfax Media announced this morning has lit up Twitter and other social media sites. Mostly it’s Fairfax print journos worrying about their future, and who could blame them. It is ironic they’ve expressed their frustrations on social media platforms – one of the main reasons traditional media is under the pump. I was around when Fairfax merged with Rural Press and it did not end well. Usually mergers end up being a takeover, and in this latest case it almost certainly will be Nine that rules the roost when it gets the green light from the regulators. What people affected need to remember is that no matter what happens it’s not the end of the world – life goes on. Mergers seem like a seismic event at the time but in truth they’re no different from any alliance entered into by humans over the ages. It’s really all about survival when you think about it, not that different from two cavemen agreeing to hunt together and share the spoils. But inevitably one will dominate more than the other, because he is bigger and stronger, and sometimes smarter. And, folks, that’s why Top 5 this week shines its light on who else should hurry up and merge. Number 1. SBS and ABC. It won’t save either in the long run but it will buy them some time. Number 2. Souths and Roosters and call the new club South Sydney – more premierships, more fans, more juniors, sorry Chooks. Number 3. Campbelltown, Camden and Wollondilly Councils and call it Macarthur Council. Reduce staff and rates by a third to start with. Number 4. Another footy merger, Swans with GWS. C’mon AFL, you know you’re wasting your time trying to get westies to like aerial ping pong. Number 5. Family Guy and The Simpsons. Groundhog day when you watch one after the other.